A northern NJ back yard landscape architecture design in progress. I terraced the back yard, separating the spaces with stone walls and garden steps. The geometric design and pillars flanking the garden steps gives the design some formality. I placed some random flagstone at the lower terrace. This area will be lawn. 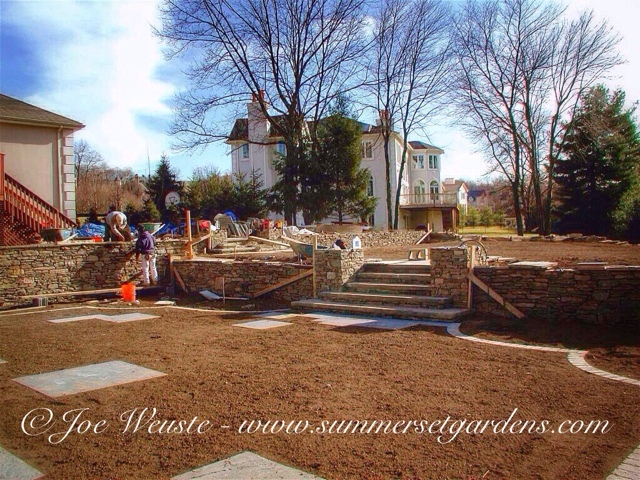 Once the stone walls are capped the planting phase will begin.